← My Plate: A Step up from the Pyramid? Globally, the incidence of diabetes has more than doubled over the last three decades, according to a new study published in the medical journal, The Lancet, which correlated data on 2.7 million participants in 199 countries. 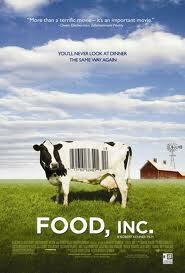 The incidence of diabetes in 2008 was 347 million, up from 153 million in 1980. This is a stunning increase, with severe repercussions for the future of health care worldwide. No longer a problem limited to developed nations, diabetes is rapidly spreading to developing countries in Africa and Asia, as well as South America and the Middle East. Worldwide, 9.8% of men and 9.2% of women now suffer from diabetes – largely a result of shifts in diet, such as higher sugar intake and increased consumption of processed and ‘fast’ foods, coupled with a general trend toward a more sedentary lifestyle. The average American consumes approximately 22 teaspoons of added sugar every day, which adds more than 320 calories to our daily diet. On average, 16% of Americans’ daily caloric intake comes from added sugar. One problem is that this added sugar generally substitutes for healthier more nutrient-dense, fiber-rich foods, which should form a larger part of our diet. 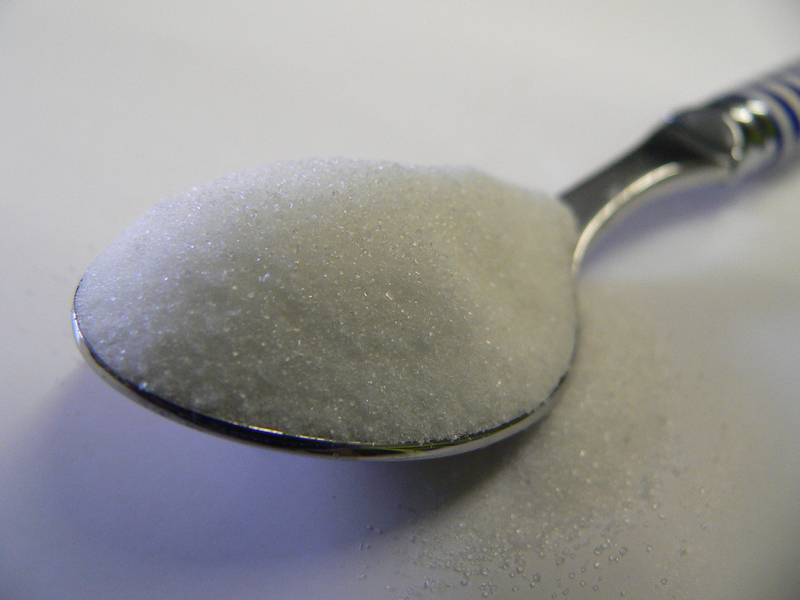 Sugar, or sucrose, is a carbohydrate which supplies a quick source of energy to the body. Sugar occurs naturally in plants and vegetables – it is the product of photosynthesis, by which plants convert the sun’s energy and carbon dioxide into food (and oxygen). Chemically, sucrose is a dissaccharide (a double sugar molecule), consisting of glucose linked to fructose. Historically, people used natural sweeteners such as honey and molasses, as well as beet sugar and sugar cane. However, in processed foods sugar has largely been replaced by high fructose corn syrup, which is far cheaper as a result of substantial government subsidies encouraging overproduction of corn. 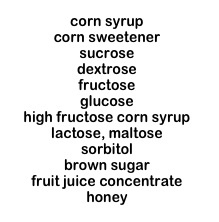 A wide range of sugars are added to processed foods, including corn syrup, fructose, glucose, and maltose, as well as calorie-free sugar substitutes. Added sugar intake is associated with obesity, tooth decay, high triglyceride blood levels, diabetes, gout and increased cardiovascular risk. 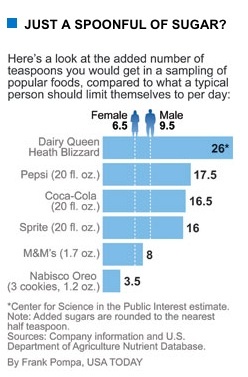 The American Heart Association guidelines recommend limiting daily sugar intake to 9 teaspoons for men, 5 teaspoons for women, and 3 teaspoons for children. Note that one gram of sugar delivers about 4 calories. A child would easily consume the recommended daily allowance merely by eating two oreo cookies for a snack or a single package of Quaker oatmeal for breakfast. A carton of fruit-flavored yogurt contains 19 grams of sugar (11 added), while a can of soda delivers 9 grams of added sugar. A one cup serving of baked beans contains an incredible 15 grams of added sugar. One cup of dried, sweetened cranberries will give you 25 grams of added sugar; and a single serving of sweetened lemonade contains 17 grams. 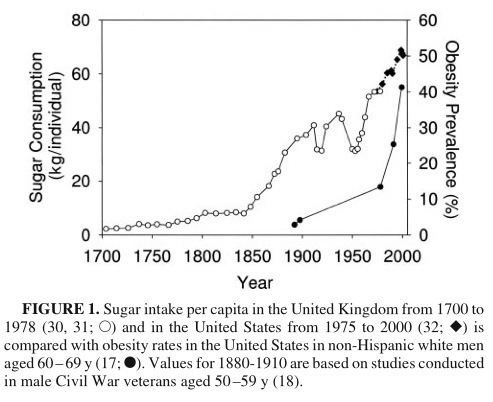 Very few Americans manage to live within the recommended daily doses of sugar. Can your body tell the difference between added sugar and natural sugar? No, but natural sugars such as in honey and fruit are generally coupled with dietary fiber, nutrients and antioxidants, whereas added sugars are empty calories, often coupled with high fat content, as in a candy bar. The easiest ways to cut back: skip sugar-sweetened drinks, such as sodas, as well as sweetened teas, fruit juices and lemonade. In general, limit consumption of candy and processed foods — and try to retrain your taste buds to appreciate the natural flavors of unsweetened foods. Above all, we need to educate children about the health consequences of over-indulging in sugar. One summer, when I dropped my kids off to chess camp, the counselor rewarded them for being first to arrive (on time) by handing them pieces of candy. Sweets should not be a reward for doing what is expected. Nor should they be a regular finale to a healthy meal. Otherwise, we’ll be facing a diabetes epidemic of global proportions.